Editor’s note: To celebrate the hard work, creativity and entrepreneurial spirit of app makers around the world, this week, and over the coming months, we’ll celebrate our Android community by featuring founders, product managers, designers and developers from around the world. We’ll showcase their passions and also hear about what they do when they step away from their computers. Meet our next app maker, Niek Bokkers, a Dutch adventurer, co-founder and creative director of Polarsteps. 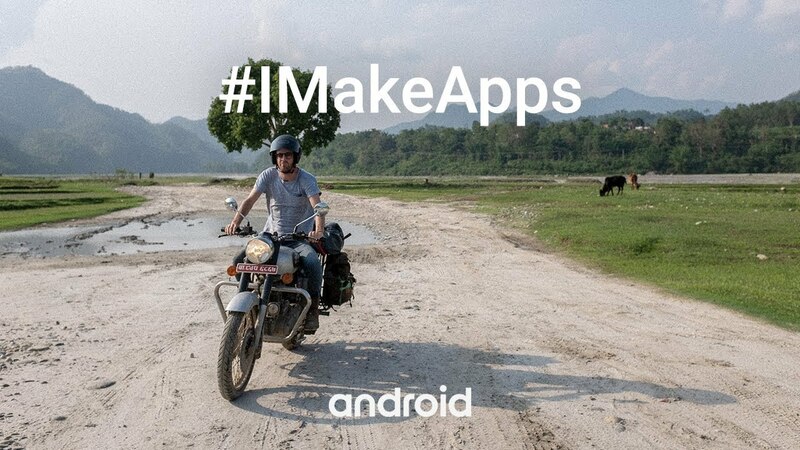 And check out more #IMakeApps stories on g.co/play/imakeapps. Niek is an adventurer by heart. He started traveling with his dad and twin brother when he was six and hasn’t stopped since, going on epic adventures to Africa and Asia. His travels inspired the idea for Polarsteps, a travel tracking app that automatically captures every place you visit. When did you get into technology? With a dad in IT, I grew up with technology. I first started applying it myself at the university. After a few years of building websites and other interactive concepts, I combined my passion for travel with the possibilities of technology. How did you come up with the idea for Polarsteps? The first setup I made years ago when I crossed the Atlantic on a catamaran with my father. I wanted to find a way to keep my family and friends up to date on our progress on the ocean. We bought a satellite phone that allowed me to send GPS coordinates to a cellphone that I had connected to a server. The GPS coordinates were calculated into an X and Y value that were plotted on the map. Every day at 6 pm we would send out an update to make it easy to see if we had made some progress. Back at home I decided to build the first real prototype of the Polarsteps app and brought it with me on my bike trip from Amsterdam to Capetown. I was getting so much positive feedback during the trip that I decided to professionalize the app. What is your role at Polarsteps? My responsibility is to make sure that travelers love our app and our company. Part of that means coming up with cool new features and of course, validating them. What has been your experience with Android & Google Play? It has been great! From the 1st prototype we built to our most recent challenges around scaling up, we have found Android and Google Play to be incredibly developer-friendly. Without it, I couldn’t have made my dream come true! How has your app business has grown since you started? Soon after we started Polarsteps, we found the means to work on the product full time. First, we were with 4, now we’re about to hire our 9th employee. Our app has more than 600k downloads from all over the world and is used in more than 180 countries.